I’m gonna try this soon! I’m gonna have to check out your store. And I know its gonna cost more than regular grocery stores, but I hope its not too expensive, as I am a grandma living check to check. My daughter (and the family chef!) has been working on getting the family diet healthier, get rid of GMO’s etc. She would prefer we go vegan however I LOVE my red meat. We will be checking your store out very soon. What are your store hours. I live in Auburn Hills and I am anxious to visit your store to buy some of your products. We do have Steaks available. They sell out in store so they don’t often last long online. Our online Shop only shows about 5% of what we have in-house so it’s best to call or stop in. Looking at the beef menu I failed to notice any steaks! Are the available? What is the shelf life? If I freeze how long will it keep? BTW you guys are awesome! I can’t wait to come to the store! When did the episode of Chopped you were on air? I love Chopped but must have missed that show. 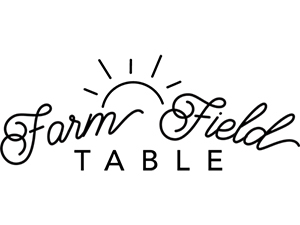 We live in Ferndale and my son shops at Farm Field Table often – we LOVE it! We were on Chopped and we won! Grass fed and grass finished is very good for you and we have that option. We also have grass fed and grain finished beef because the taste is preferred by chefs. You can make the call for your family. See you soon. HEY! Were you guys on CHOPPED?? I have read that Grass fed, grass finished is the best beef for you. Is this true? We are a whole animal butcher so you would be 100% correct. We have it all. Thanks for commenting. Am I wrong in understanding that I will be able to buy cuts like beef tongue, pig ears, pig feet not just the money cut? I’m so fed up with meat cutters who have no knowledge of the animals.Excited to think I might be able to buy a roast that isn’t 1/4 gristle. It’ll be worth the drive from Westland. So glad you found a location in Ferndale,which is in my neck of the woods! My daughter & son-in-law have followed you since your beginning so I think I see a Christmas gift card in their stocking! Thanks for your great products!!! All their meat is the absolute best you will find ! Thinking of starting the Ketogenic Food plan. Glad to know where I can purchase grass fed meat. I adore you guys. Being able to have a conversaTion with your butcher is a game changer. Even more so when their philosophies on food match Your own. Keep it up! Do y’all ship to Texas? We are located in Ferndale, MI. Click on the Contact Us button on the top of this page for directions and our phone number. Were are you located at I live in warren! Thank you for commenting. Most of our farmers are in line with organic standards but the certification for such small farms can be very costly. Most of our farmers don’t pursuit certification for this reason. I read your Facebook article and I did not see organic at all. I saw non GMO, free-range, and high quality. My wife and I are seeking a better alternative to the garbage in the grocery stores. I hope it is you. Thank you for going through with it, I know it has not been easy! It’s so refreshing to walk in & be able to pick anything in the store, & not have to ask a million ‘dumb’ questions before feeling safe to eat it. Always bugged me that living in an agricultural state we don’t have more access to non gmo, organic meats & veggies!